This 23 x 33 in Periodic Table is printed on tough, non tear and opaque vinyl. It is waterproof, UV resistant and offers consistent visibility against any light source. The colors are vibrant and radiant. 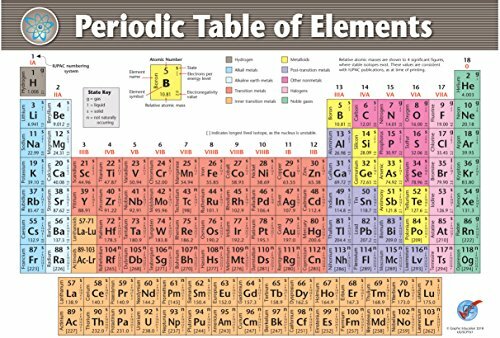 This periodic table contains vital information for the serious science student or professional. If you have any questions about this product by Graphic Education, contact us by completing and submitting the form below. If you are looking for a specif part number, please include it with your message.